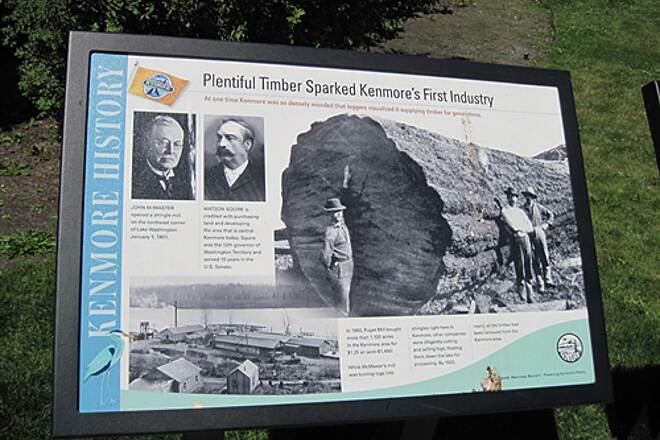 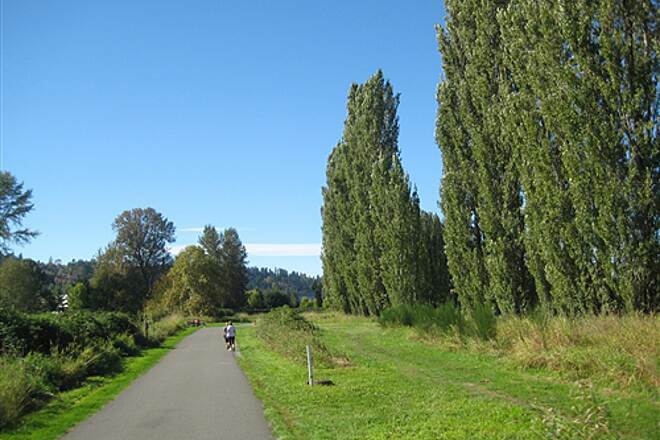 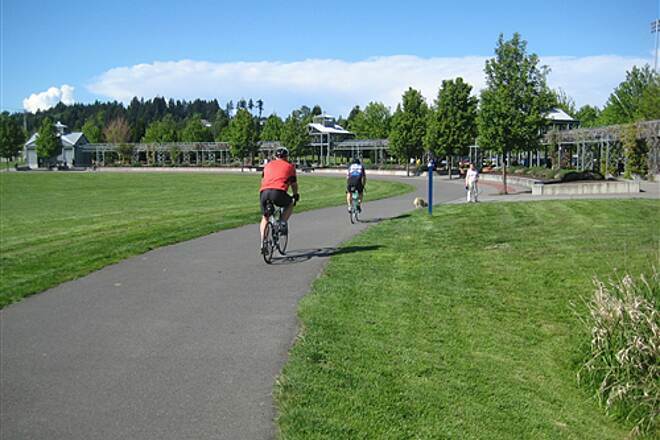 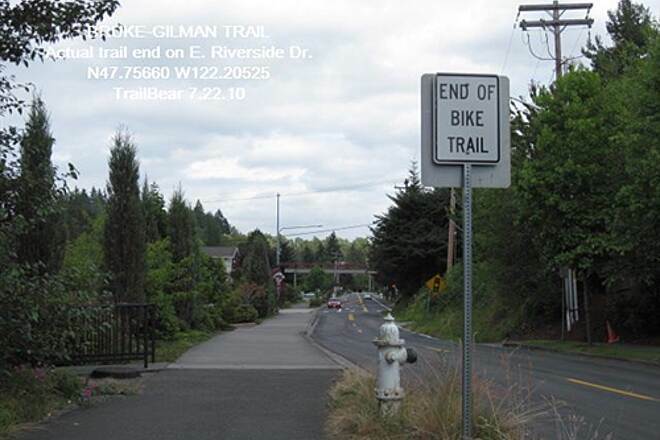 The rail-trail connects residents with many parks in the Seattle area. 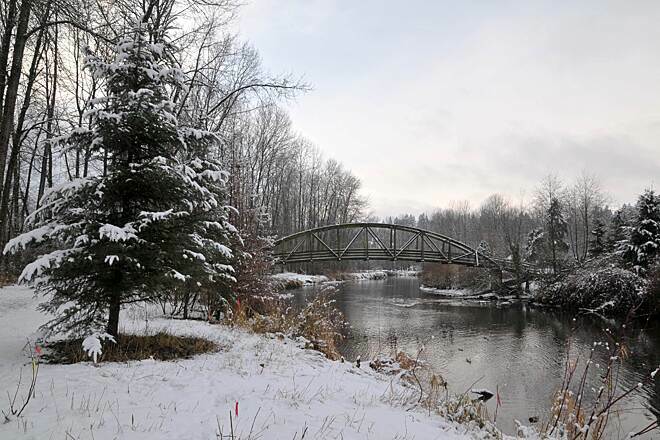 Photo by Mark Samia. 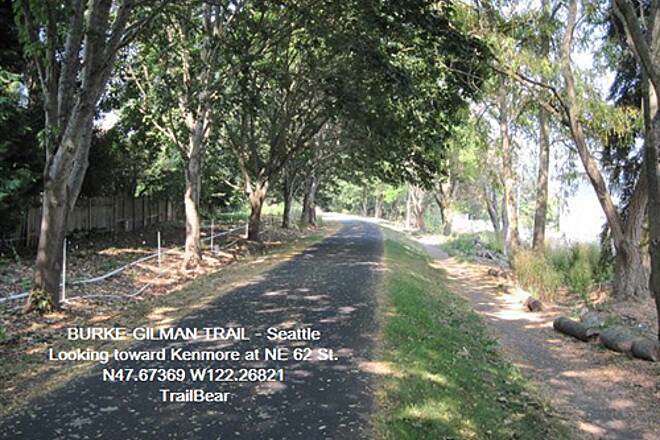 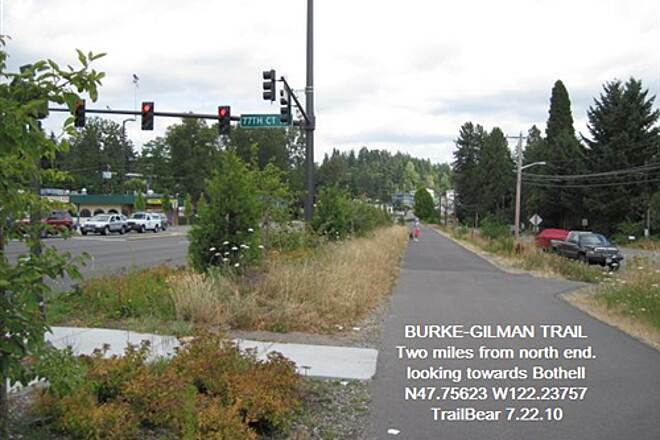 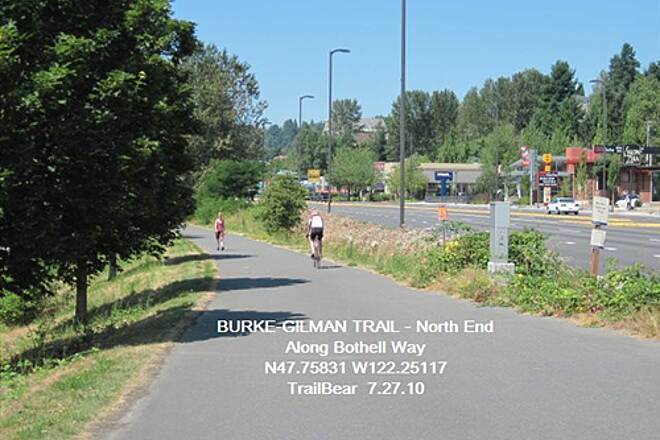 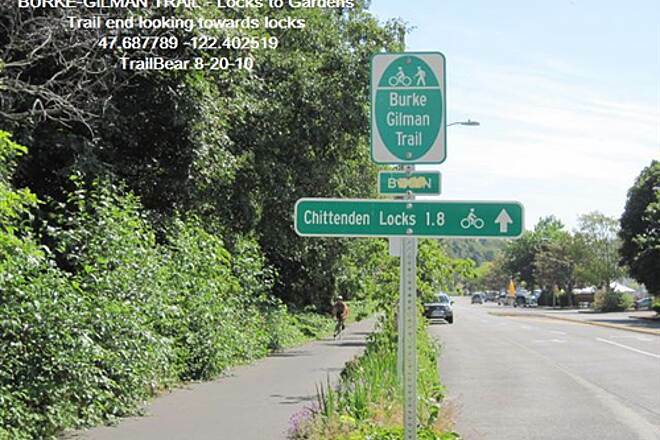 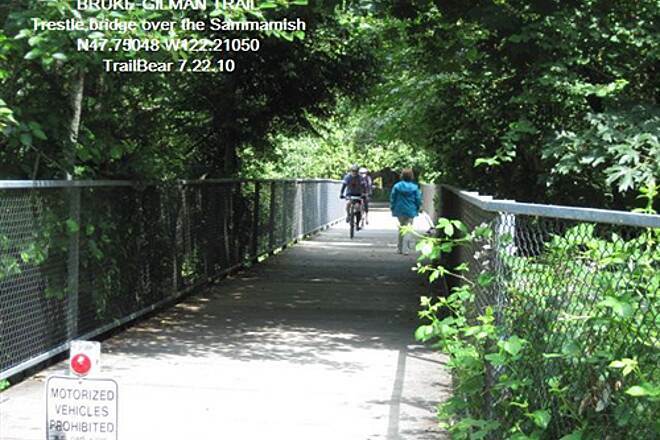 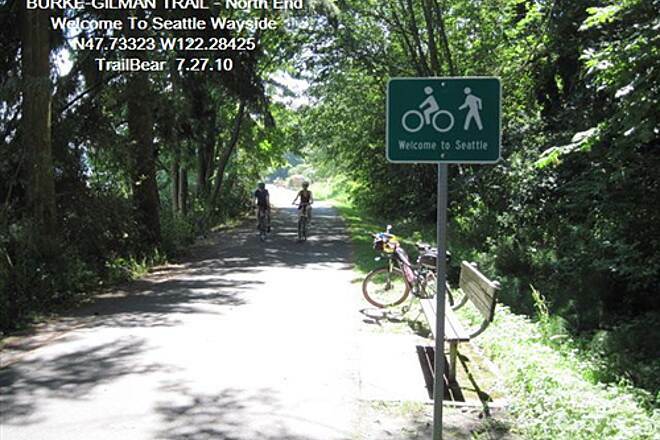 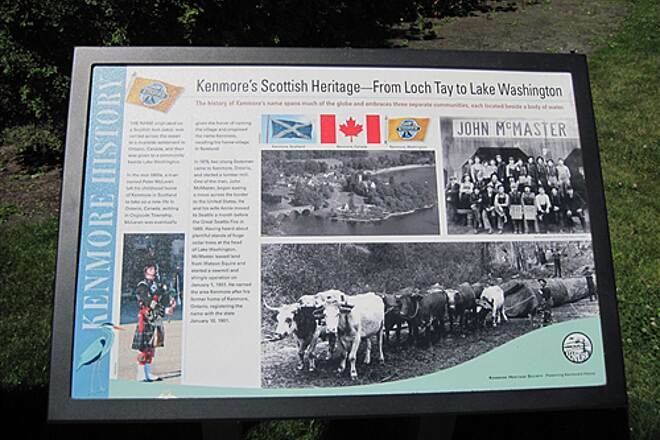 This is a view of the trail (adjacent to Kenmore Lanes)to show it is wide,paved,and maintained. 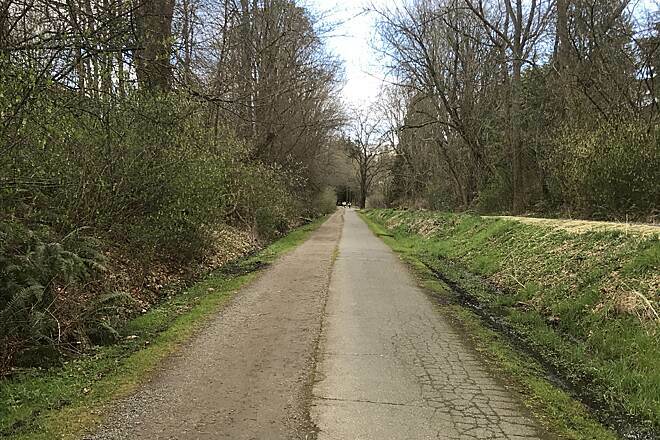 There are areas here and there that aren't this smooth naturally from tree roots but overall it's perfect for long runs, biking, rollerblading, and walking. 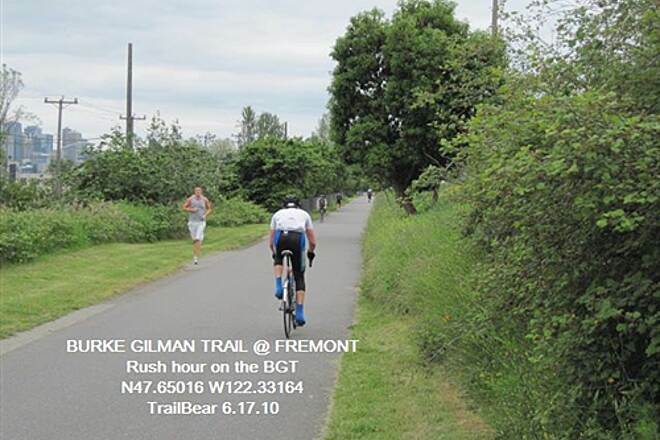 Wide paved trail runs along Lake Washington. 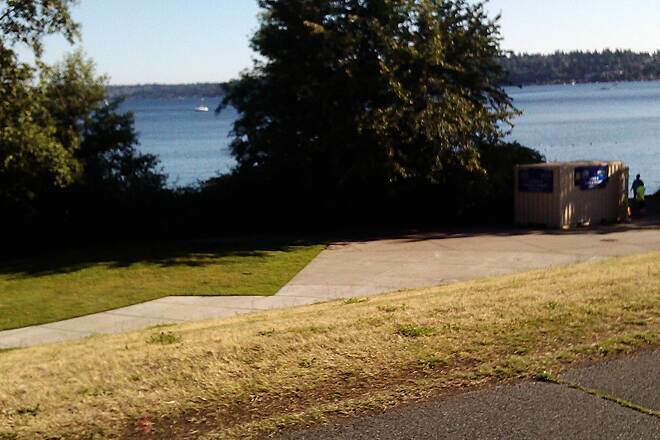 Bench along the trail overlooking Kenmore Air and Lake Washington. 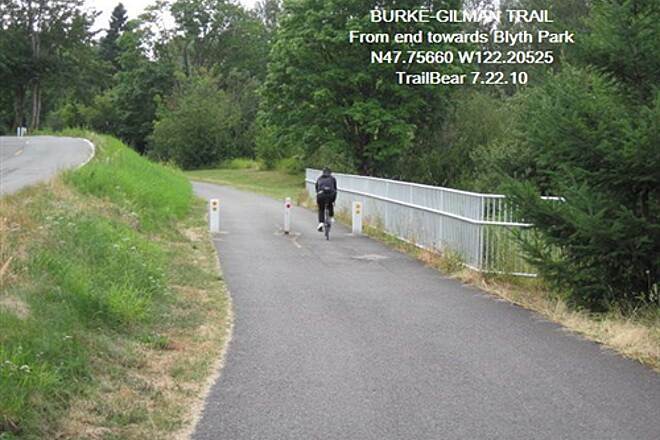 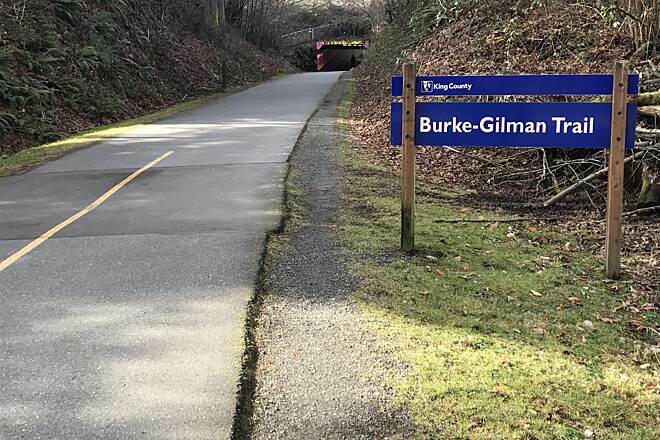 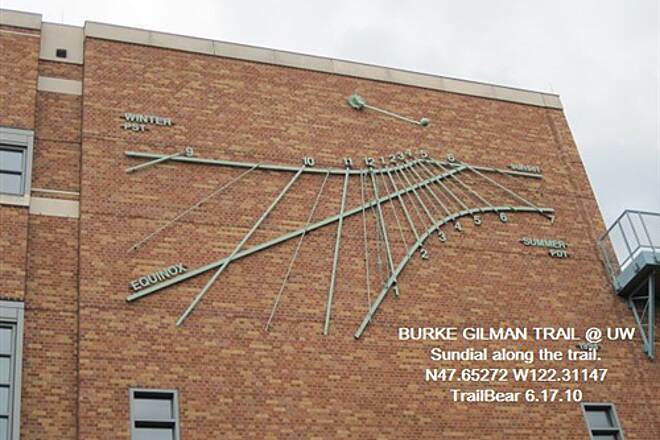 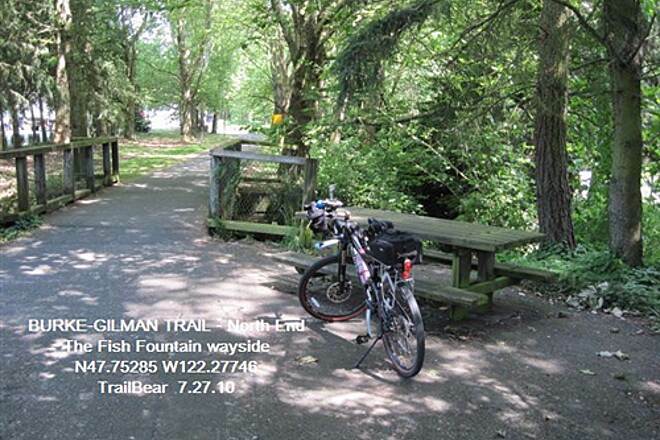 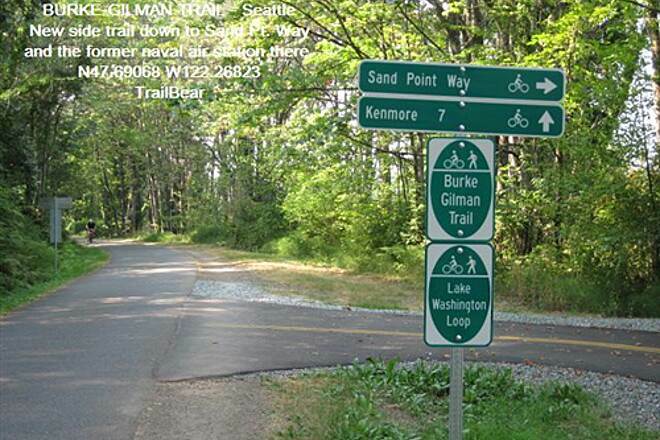 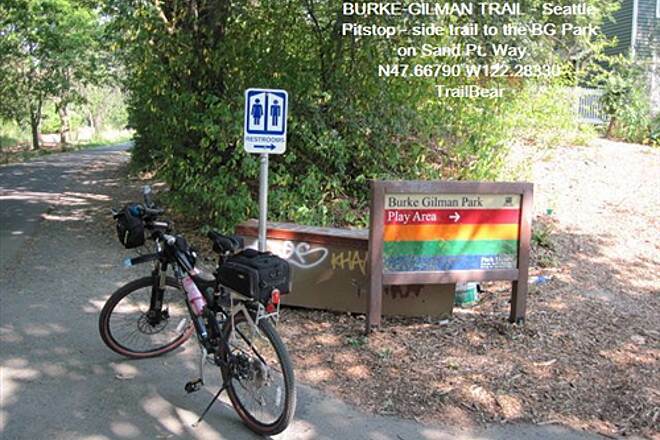 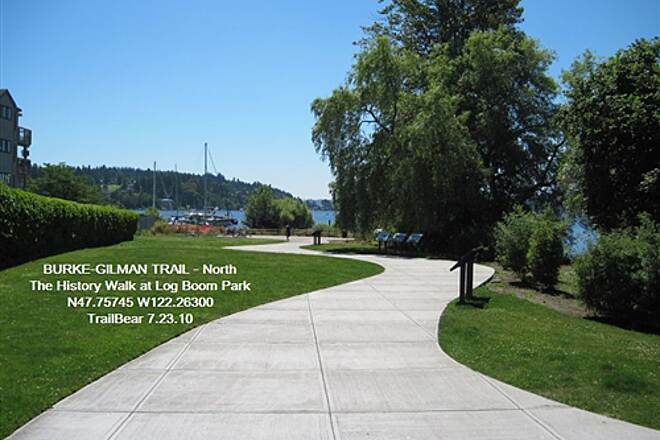 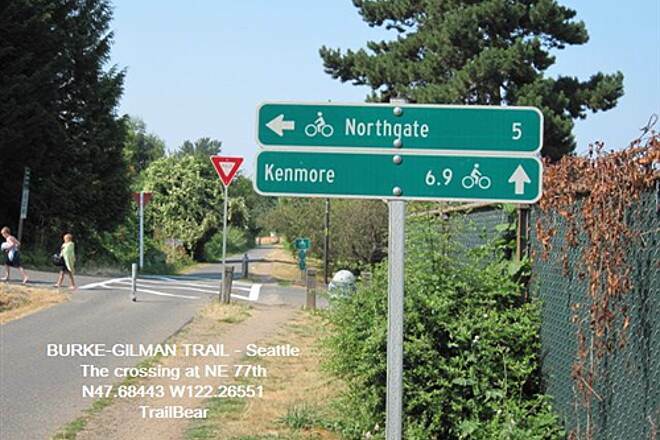 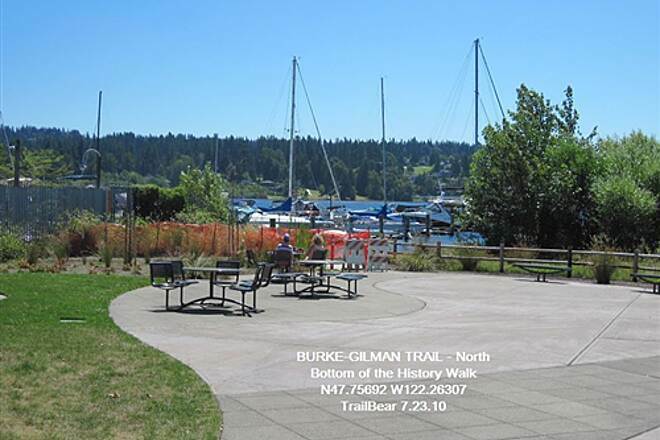 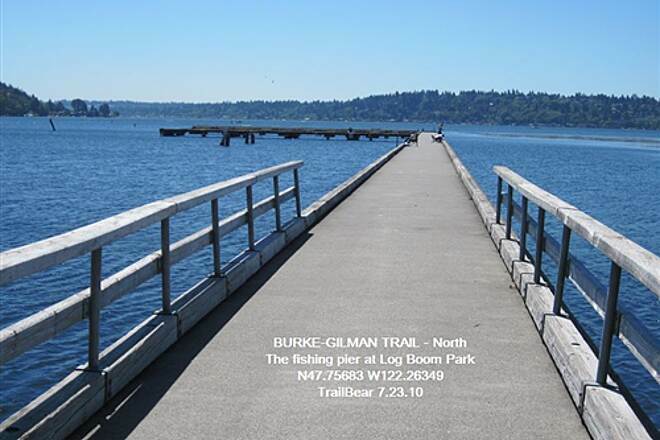 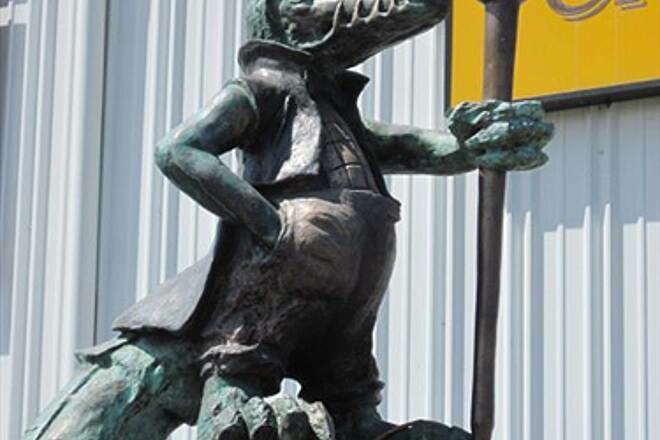 Burke-Gilman and Sammamish River Trail access at 'The Park At Bothell Landing' in Bothell. 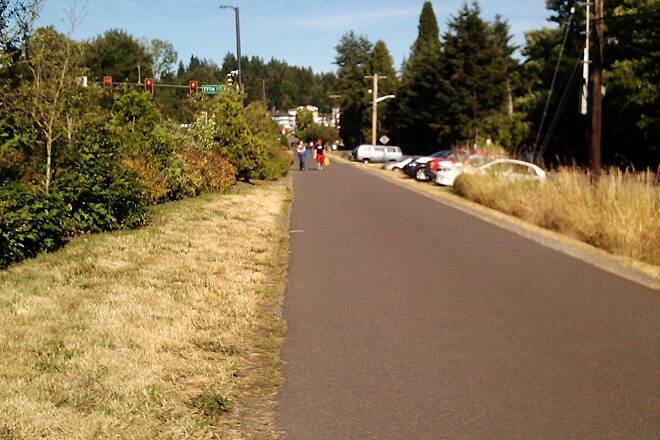 Wide, paved path. 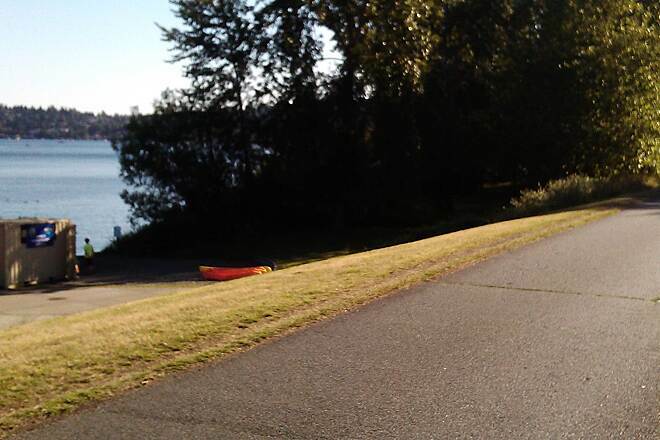 Bumps here and there in the pavement from tree roots. 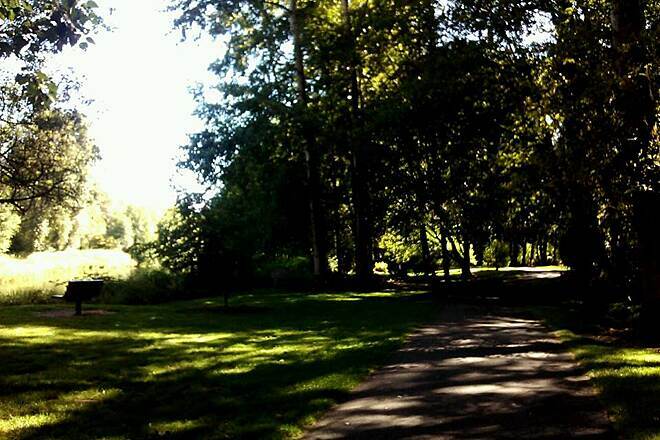 Shady area here next to the park. 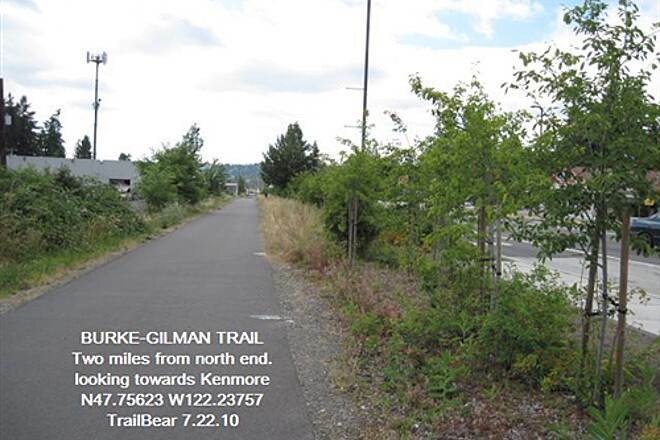 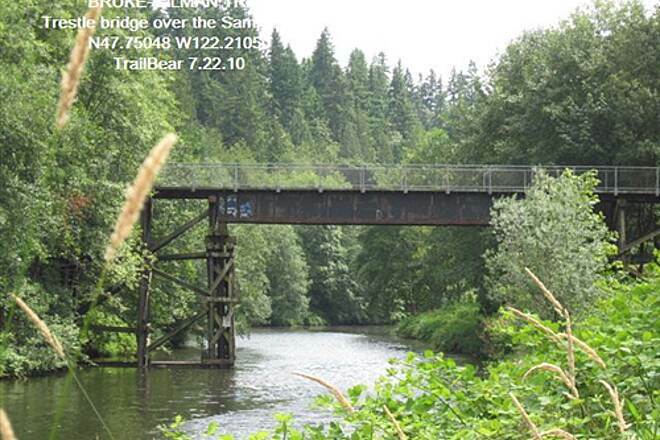 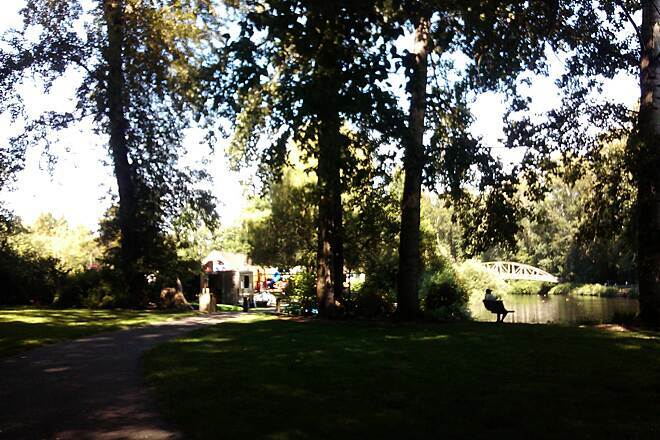 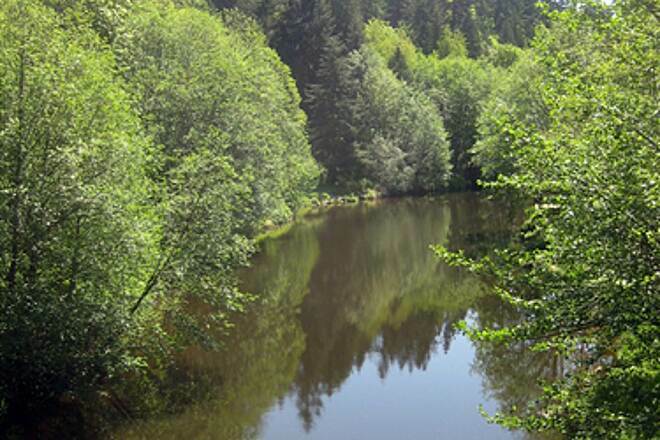 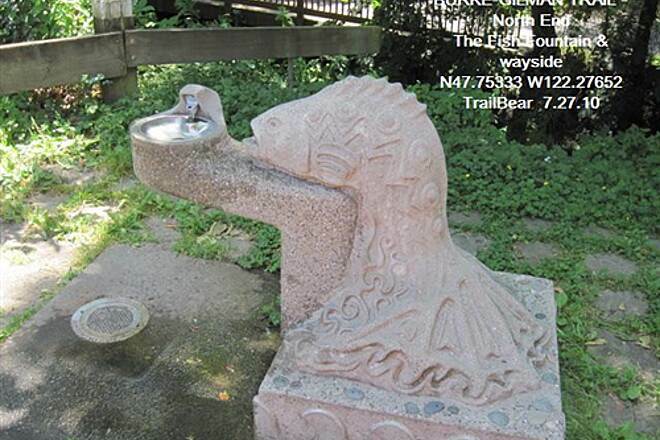 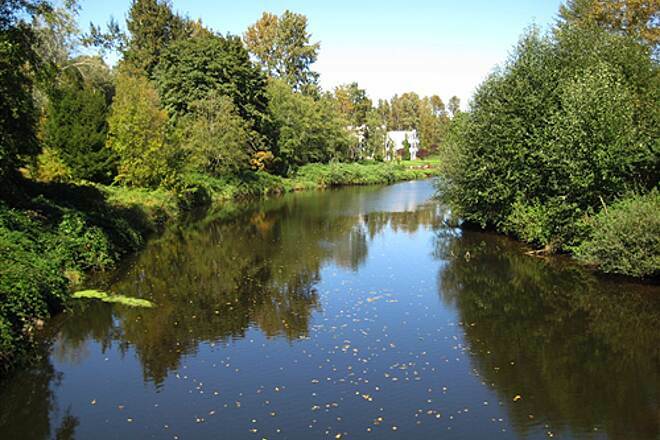 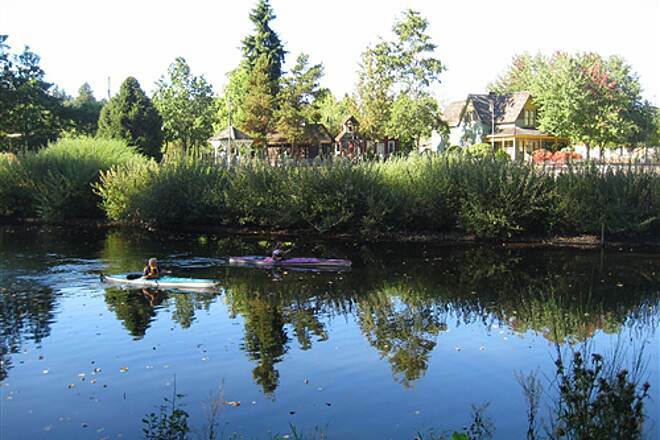 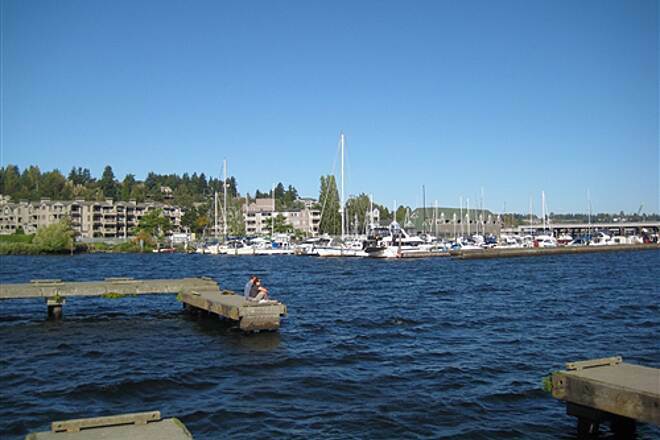 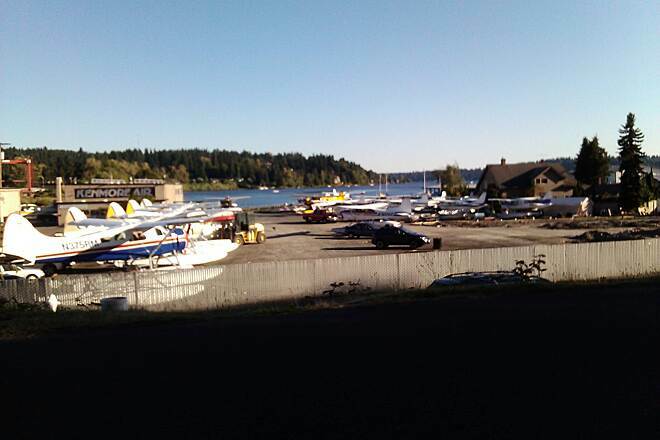 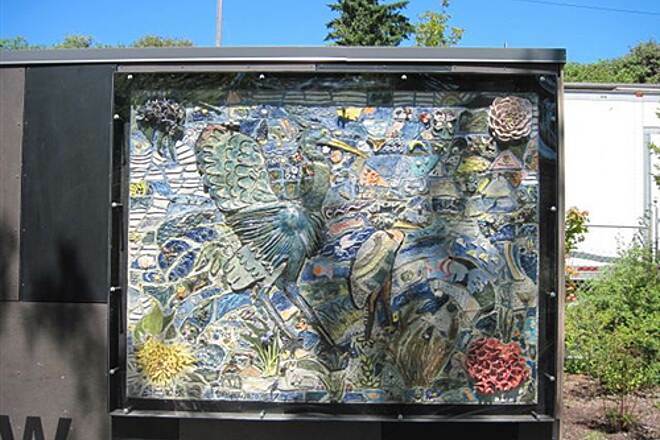 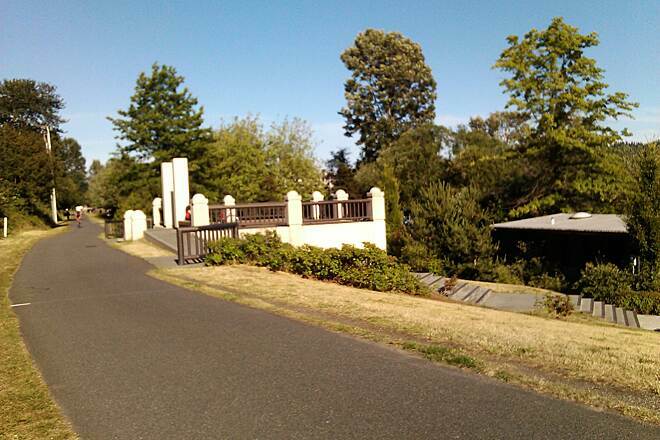 "The Park at Bothell Landing"
Burke-Gilman trail access point. 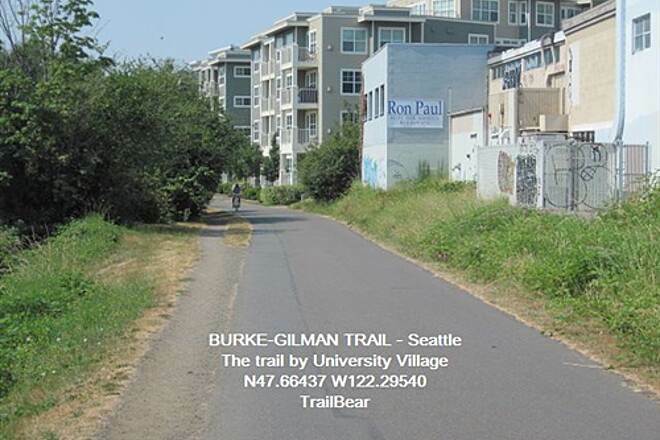 The trail is a wide, paved path. 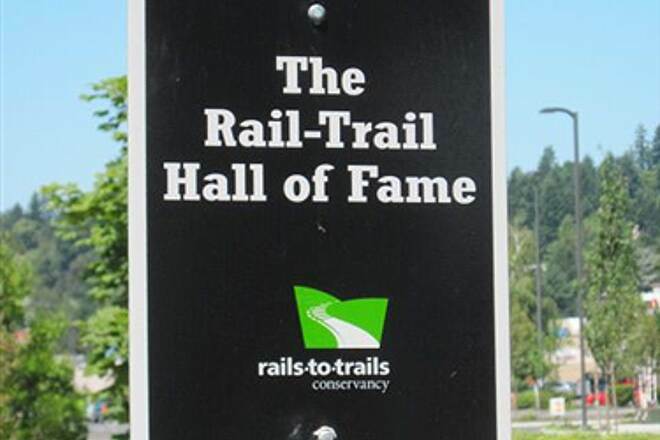 There are small bumps in some parts of the trail from tree roots. 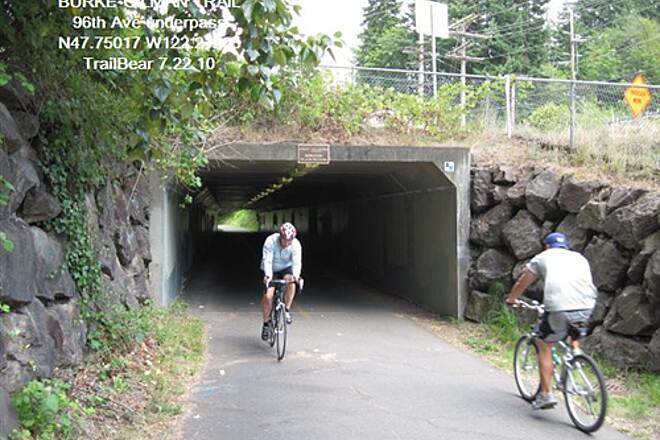 This is a shady area here. 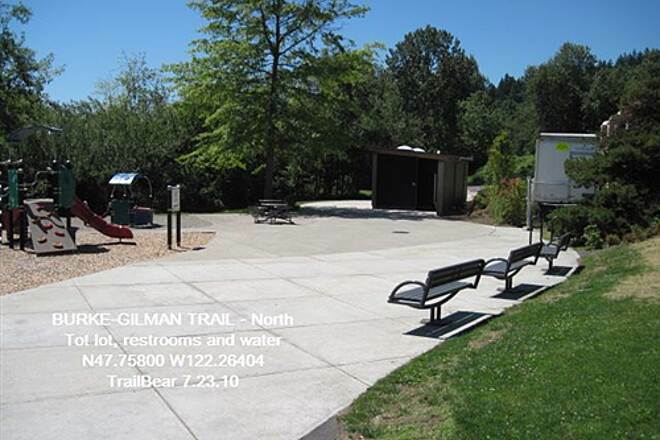 You can also rent kayaks right here on the trail next to the park to go in the water. 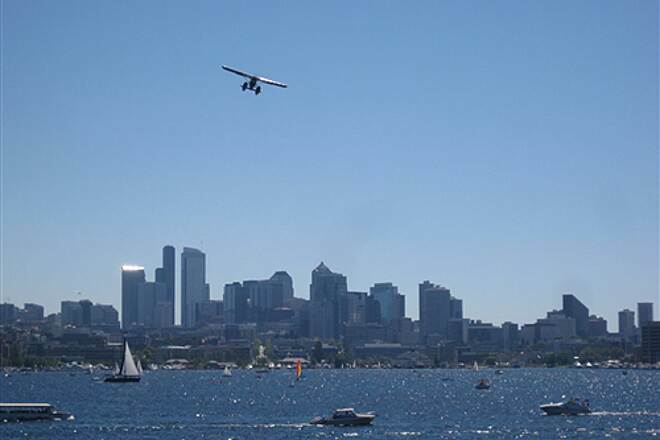 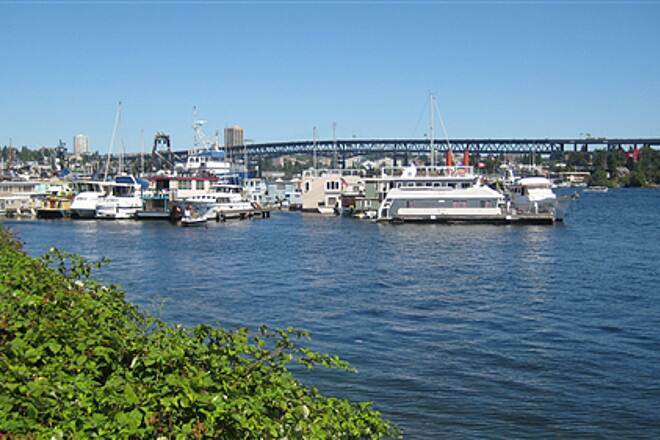 A good view over Lake Union. 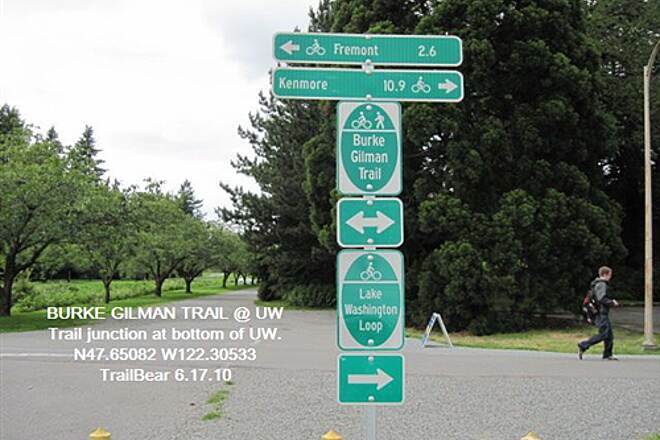 They do have some signage on the trail. 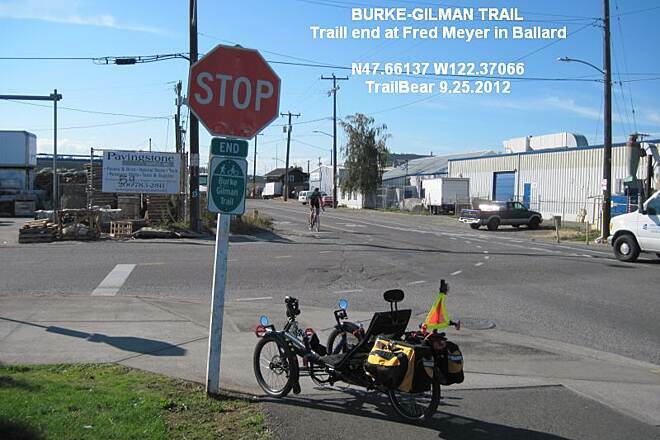 From Bothell down to Ballard on the trail. 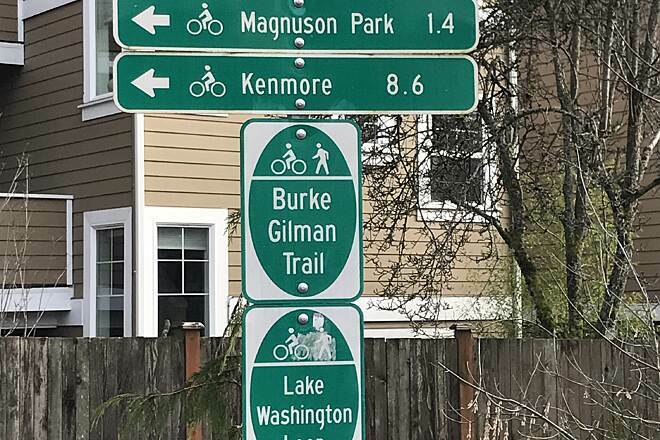 Now it's the streets to the next bit. 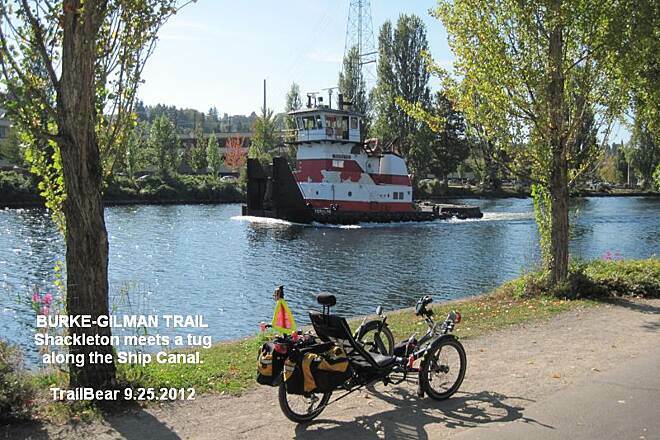 Shackleton and the pusher tug. 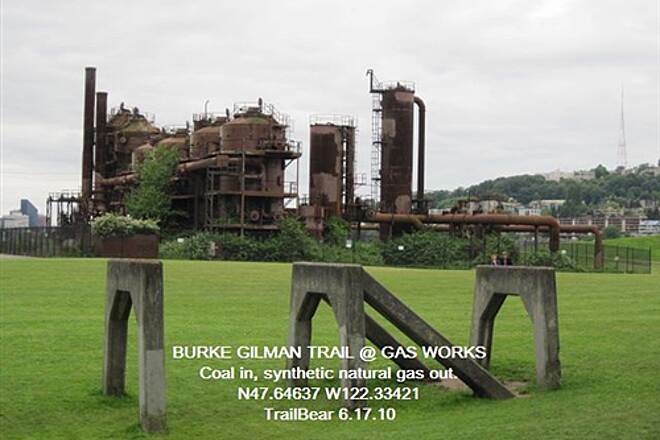 In the Gas Works Park. 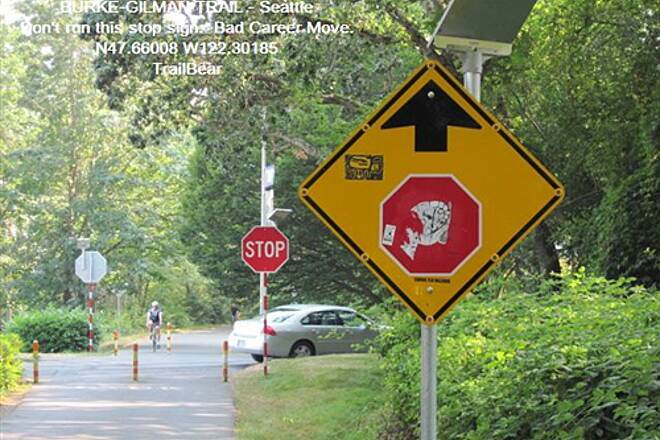 Both signs flash - they really, really want you to stop. 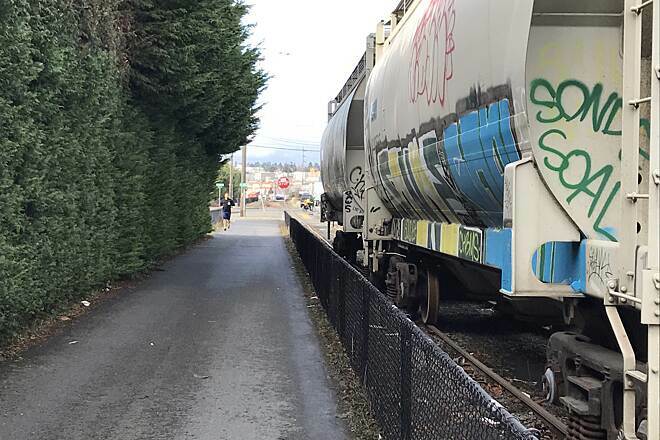 Some on-grade crossings in this area. 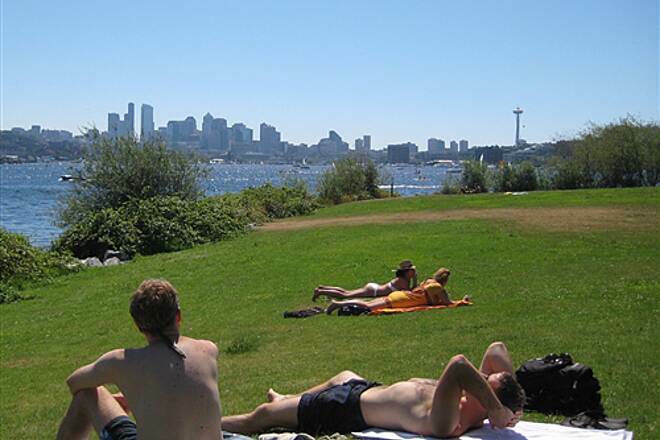 NorthWetters trying to tan (or burn). 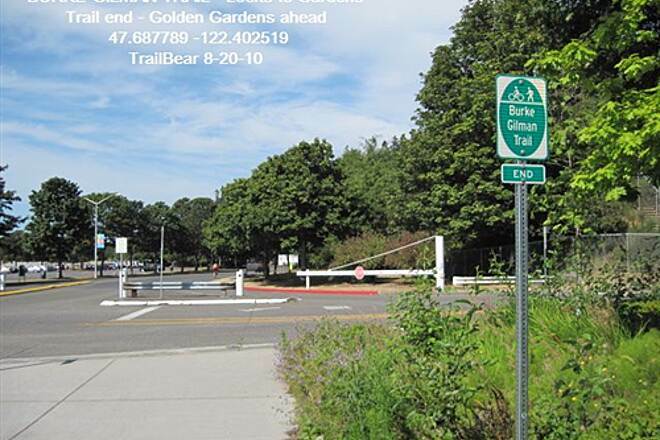 On a summer day, best come early to park here. 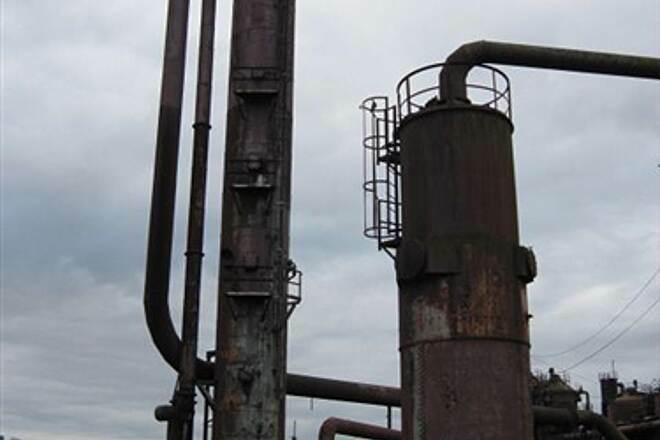 When you make the gas, you need to compress it. 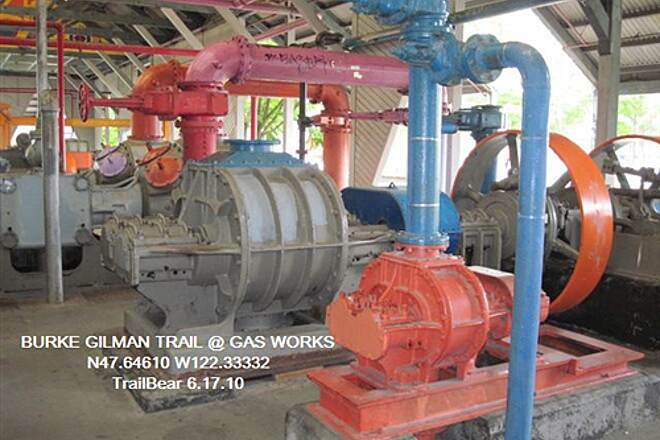 They turned coal into synthetic natural gas. 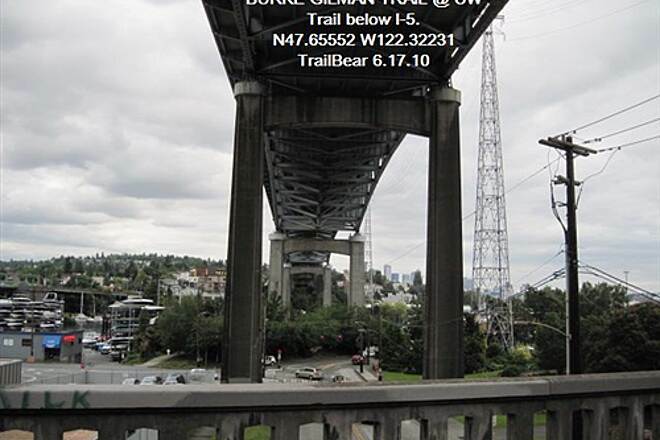 The I-5 freeway is right up there. 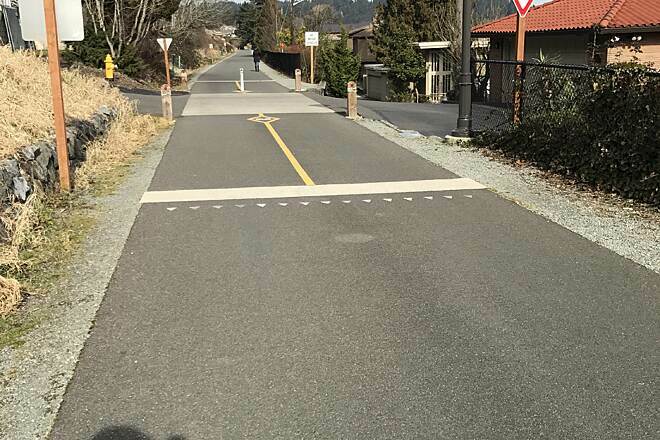 How does this work on a cloudy day? 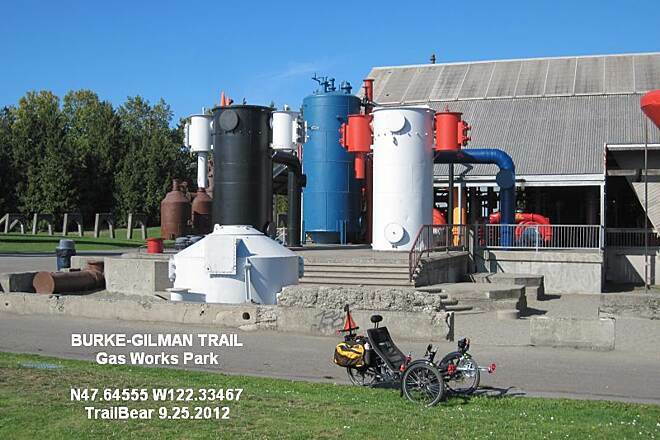 The old machinery at Gas Works park on the Burke-Gilman Trail. 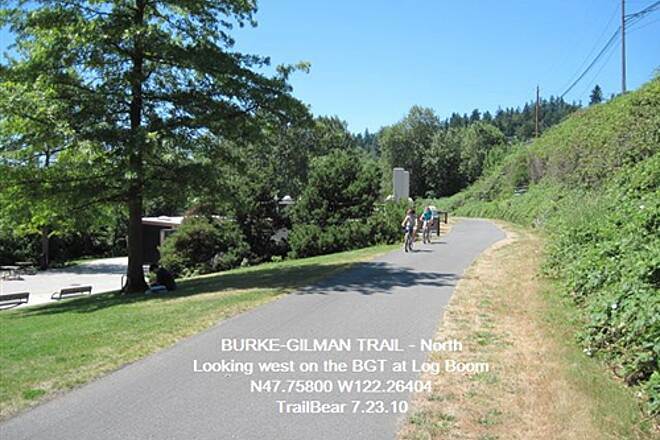 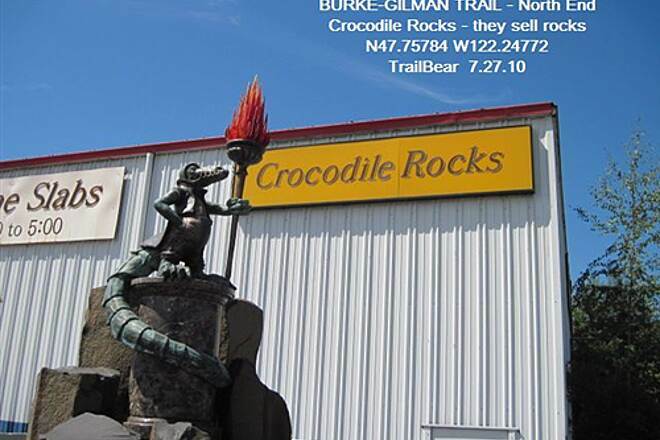 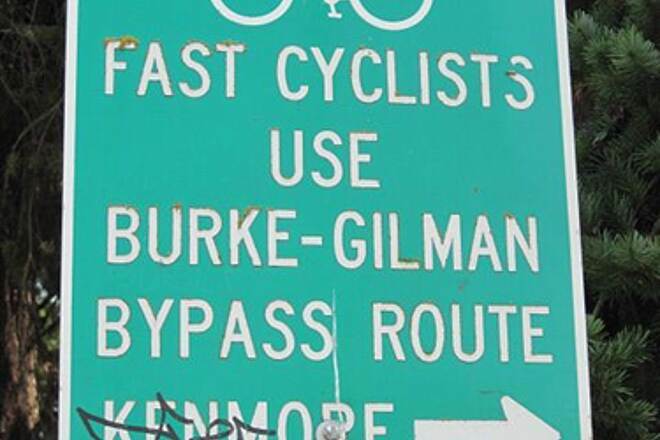 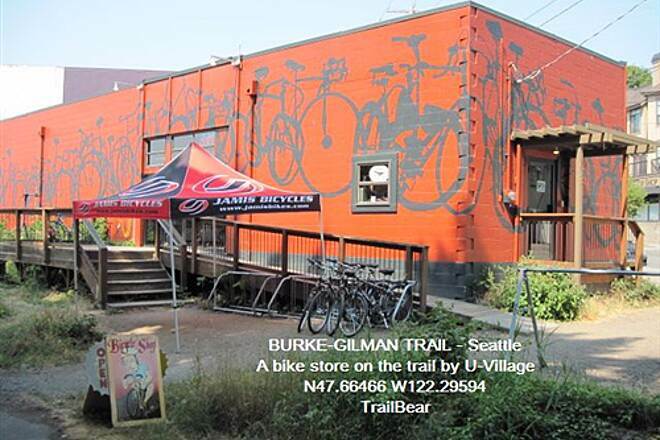 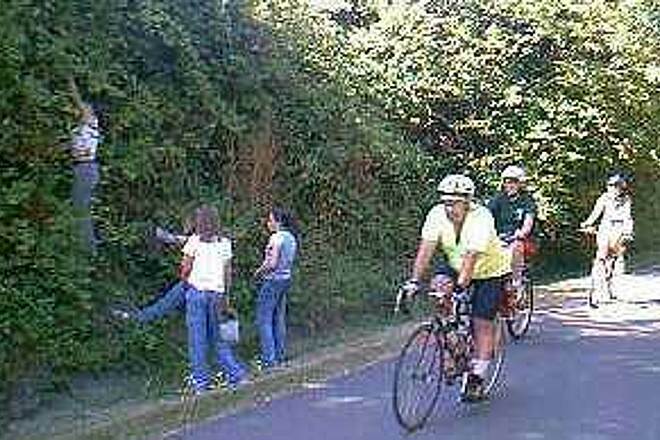 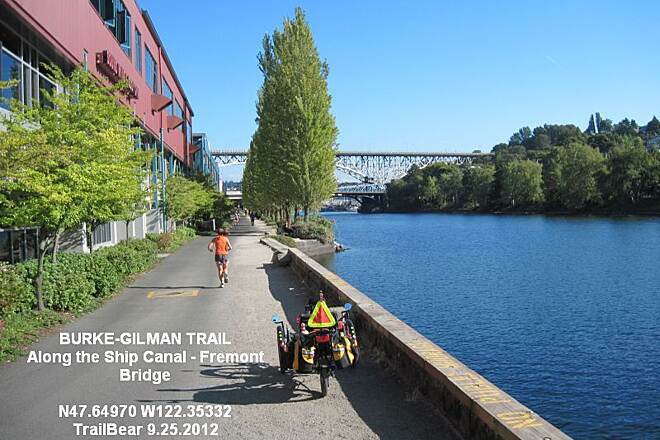 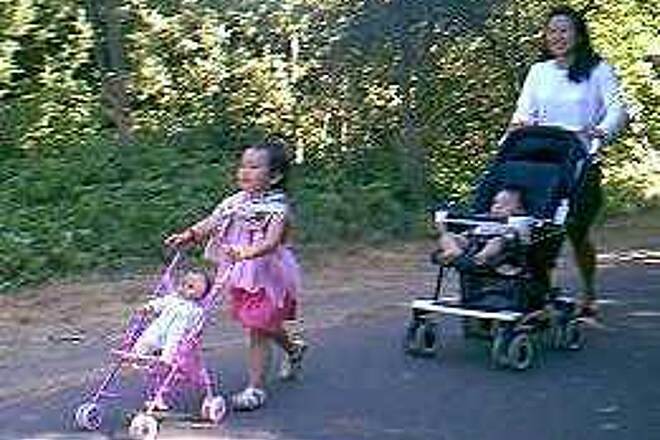 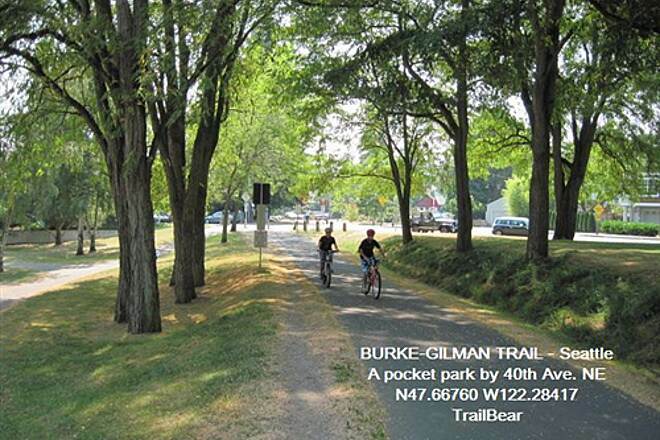 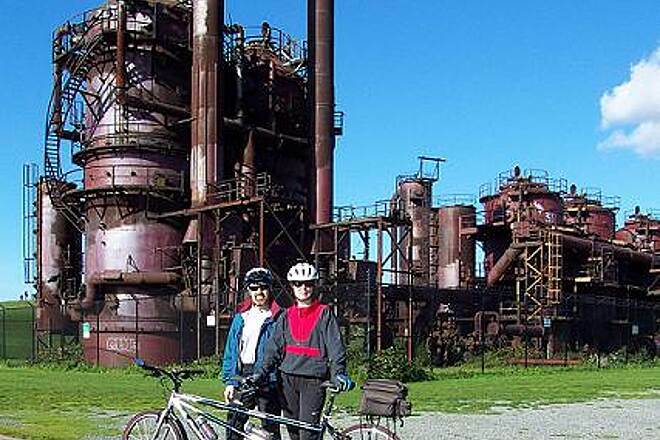 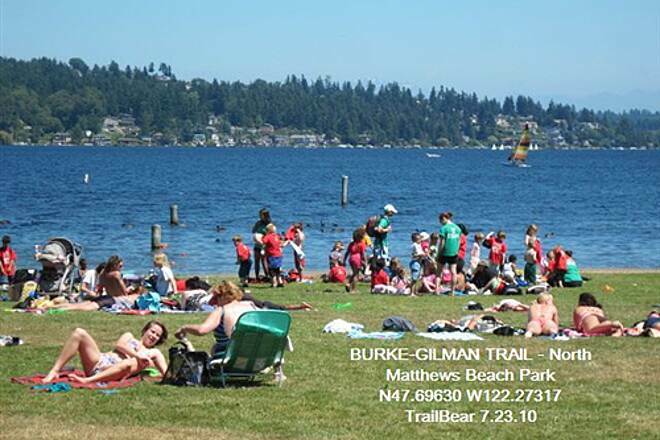 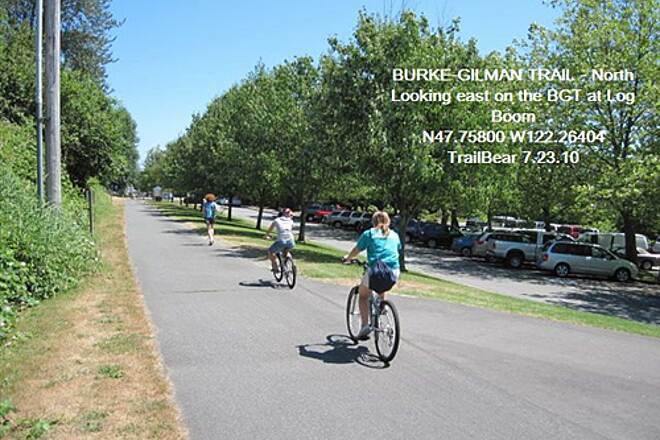 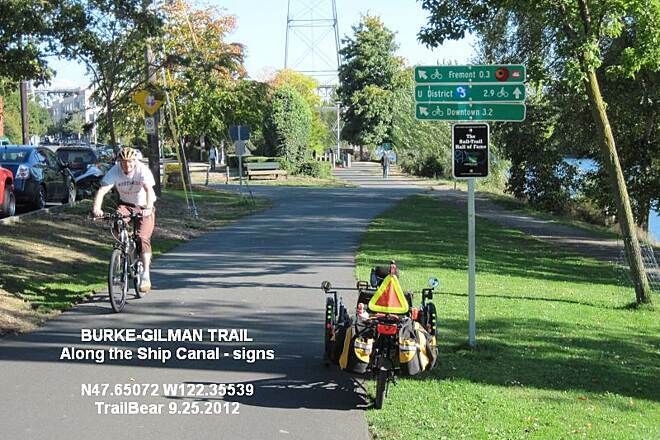 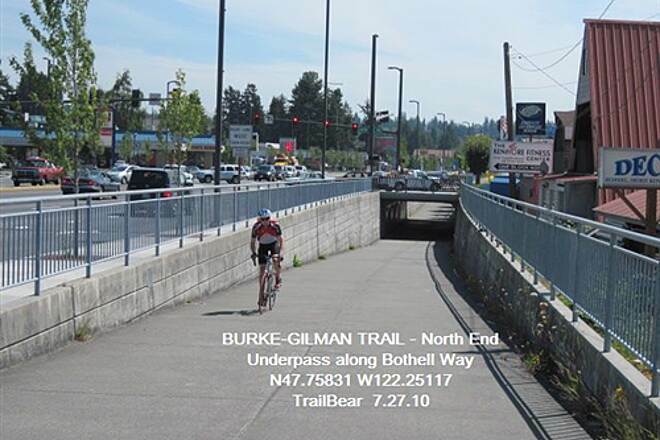 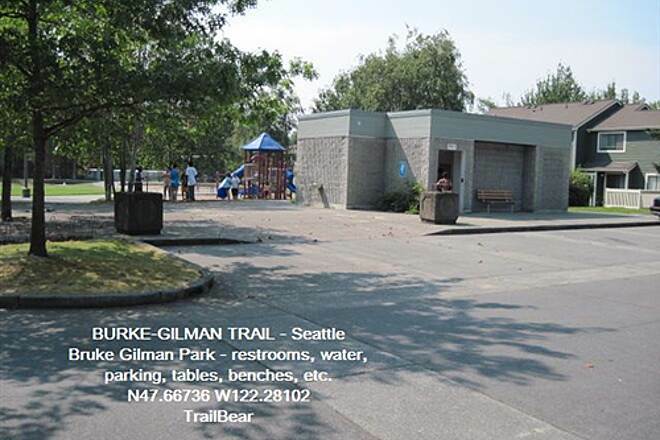 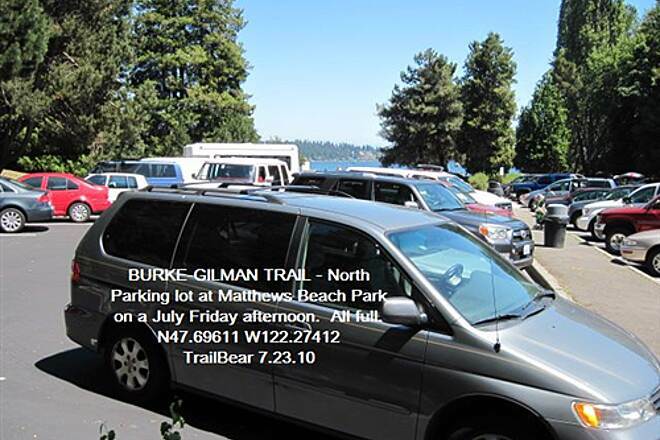 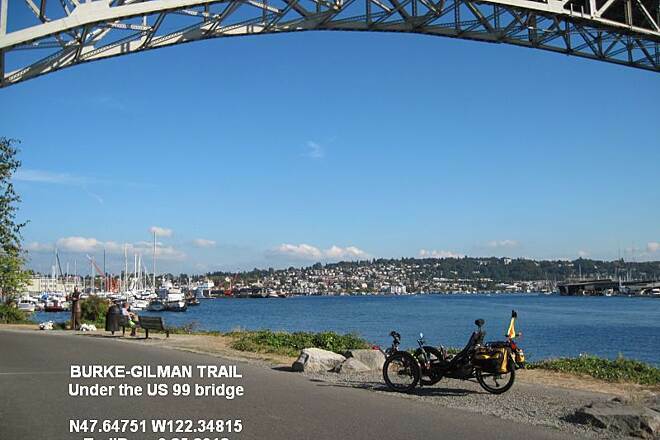 Trail users of all ages enjoy the Burke-Gilman. 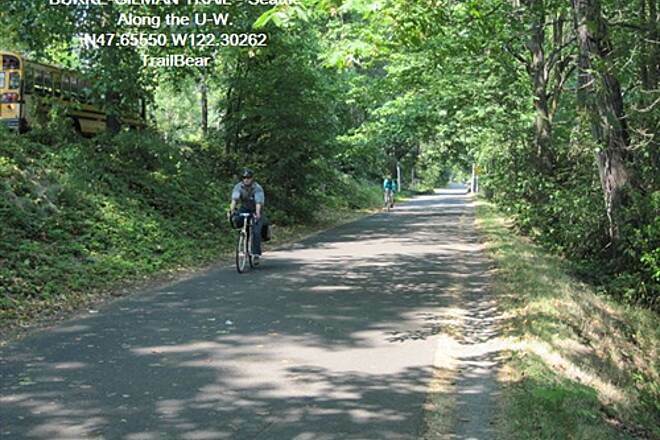 Blackberries and apples grow along the trail near the UW campus.